Congratulations! You’re finally starting your job search. You’re in front of the computer, ready to write your first resume, but then realize you can’t complete more than your personal details. Your mind goes blank just like your resume, because you have nothing to write in the job experience section of your CV. Lack of experience is one of the main issues students face when trying to find a part-time job; not only when trying to write a resume, but also when looking for job opportunities. Many entry-level positions require a very frustrating “minimum of 1-2 years experience.” It’s okay. You can still complete your resume by fluffing it up a bit (just a bit). You can describe, for example, all of your accomplishments in school, or you can use any other minor job experience you’ve had, from babysitting to that thing you only did one time, many years ago. But the secret to success, especially when sending a CV that lacks experience, is to write a truly motivational letter. If you want to stand out amongst all the other applicants, nothing can beat a personalized letter explaining in detail why you are the right person for that particular job. Years ago, when going to a first job interview, it was very important to give a good impression and look presentable in person. Today, that is not enough. Most job hunters will google your social media profiles before deciding to invite you for an interview. Your online personality is what you show to the world and, in a sense, the way you introduce yourself to society. Most employers know that you have a social life and you like to have fun outside of work, but they also take into consideration that you, as a possible future employee, will also be representing their company. Hence, it is important for them to see the way you present yourself online. Most social media platforms allow you to choose how much of your profile you want to share with the rest of the world. There’s no harm in updating your privacy settings and concealing your most embarrassing pictures leaving only a few of your friends to still laugh at. Consider cleaning up your social profiles a bit before you start your job search, and who knows, you might find a photo you didn’t know was out there that you don’t want to see anymore! 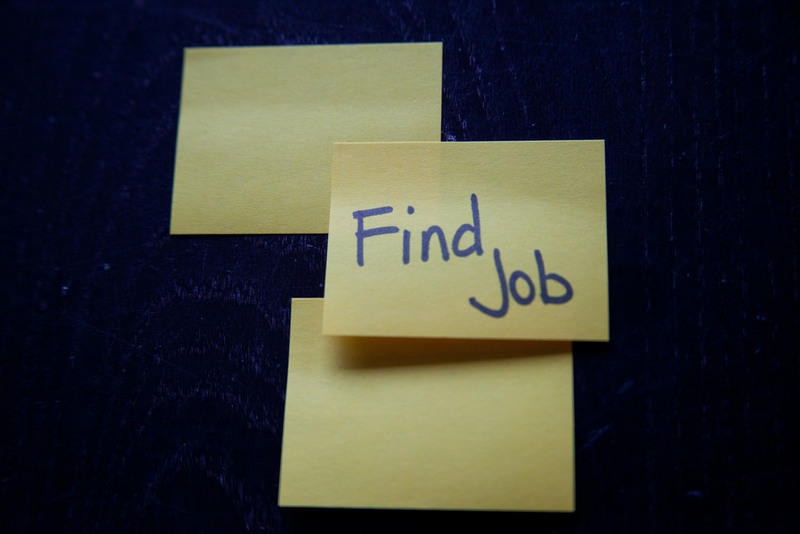 Perhaps this may be obvious, but letting people know you’re looking for a job can really make all the difference. Make sure you let your friends and family know that you are currently searching and you might be surprised. People love to help people, especially if it is work-related. If you are new to the job field, they might refer you to other people that could help you or give you interesting job-related advice. Make sure you also share it with your friends on social media. Never forget about your online persona. You never know who might need someone just like you for your dream part-time job, and it’s usually easier when someone you know can be your reference. It will make your job hunting journey much smoother. Finding a job is a challenge. Working and studying at the same time won’t be easy. You will have to learn a great deal of time management. Having a job is a responsibility, it means being on time certain days of the week. You will have to learn how to balance your work life and your social life, meaning that sometimes you won’t be able to attend every social event you want to. Even if you do, you might be too tired to actually stay the whole time. You might also find it hard to find time to study, and will have to use your free time wisely. Frustration is another feeling to deal with during work life. You will have a boss who will many times ask you to do stuff you might not want to do or that you don’t agree with. Working is also learning social skills; You will find yourself spending long hours with people who might or might not become your friends. They might also do stuff in ways you don’t agree with, but learning how to work in teams is one of the greatest tools that we, as human beings, adapt to grow as a society. In the end, once you find a job opportunity, you will still find challenges to overcome. Life is all about overcoming challenges. If not, it gets boring. Co-Founder and CEO of BitJob. BitJob is the student job marketplace​​ that uses blockchain technology to connect 500 million students globally with potential employers. A Blockchain Entrepreneur & Crypto investor. A driven Enthusiastic of Ethereum, Bitcoin, DAO, FinTech & Anarcho-Capitalism. Industrial Engineer, Project Manager & Team leader of Large-scale SAP ERP Implementation projects. Specialized in Business & Product design, Methods & Organization Consultant.